During this first week of Attack the Tariff, we are looking at all of the efficiencies to be gained and costs to be saved through large-scale string inverter design. In part 1, we looked at the main economic argument for deploying string inverters in large-scale PV projects. Basically, now that 1,500-volt string inverters in the 100 to 125 kW range are on the market, distributed architecture usually presents a more cost-effective, lower risk large-scale site. But there are two paths to travel on this road, and which you go down will be site and customer dependent – “virtual central” string and distributed string. • The obvious O&M benefit of having a ton of inverters centrally located while still reaping the string inverter energy generation benefits and increased uptime. • A huge reduction in communication wiring costs. This is a big one. 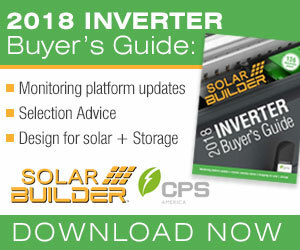 The RS485 communication wiring that connects each string inverter could run a tab well north of $10,000. Instead of going row to row with RS485, you’re only going a few feet. • Installation time is also reduced. 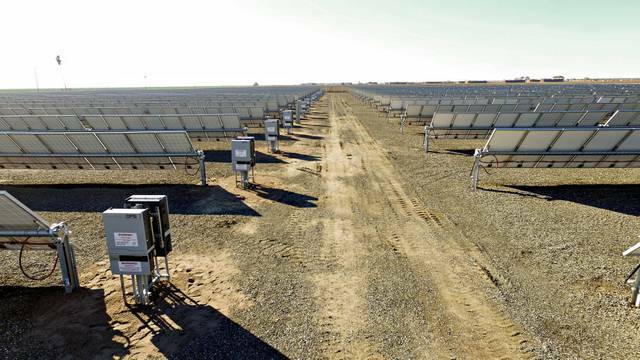 “At first that sounds silly, but when you have a 30 MW array out there, that’s a lot of land if you have inverters spread across the whole thing,” Ozga says. But virtual central string will also need combiner boxes out in the array, which is an added cost that offsets the benefit of the centralization of the skid and affects the O&M picture. Distributed string is just what you think it is, with string inverters distributed at the end of each array. The differences can often be fractions of percentage points, with the main considerations being: experiences with DC and AC wiring, labor rates, trenching, DC and AC cabling costs, voltage drop calculations, data monitoring costs, etc. While communications wiring is reduced in virtual central systems, CPS has designed the distributed string inverters to drastically reduce this cost as well. Both the 100- and 125-kW 1500-volt distributed string versions include power line communication (PLC) as one communication method. This feature eliminates the cost for wiring RS485 throughout the array. Choosing among distributed string or centralized string options will be site and customer specific. CPS America provides both options, and Ozga says some customers see the wiring costs are greater in distributed while others see them higher in an aggregated virtual central system. It is worth the exercise to calculate both scenarios in full to see how they pencil out for every project. “We’ve decided to offer both for any customers that feel they are not seeing the savings and want to stay distributed, but I think it is a decision that comes down to system size,” says Sarah J. Ozga, product manager North America for CPS America. There is even more with the O&M equation for true distributed string architecture, which we’ll look at in part 3 on Friday. We will also dive into this in MUCH greater detail in this upcoming free webinar. Sign up here. When designing a large site one consideration is String or Central. Both have well defined benefits. Historically, the large utility-scale sites have mainly relied upon central inverters. Now a third option, the Virtual Central, is paving the way for string inverters into this space. In this webinar, we will discuss the benefits and disadvantages to both the distributed and centralized string architectures and how the design choice affects installers, developers and site owners. Sign up here.